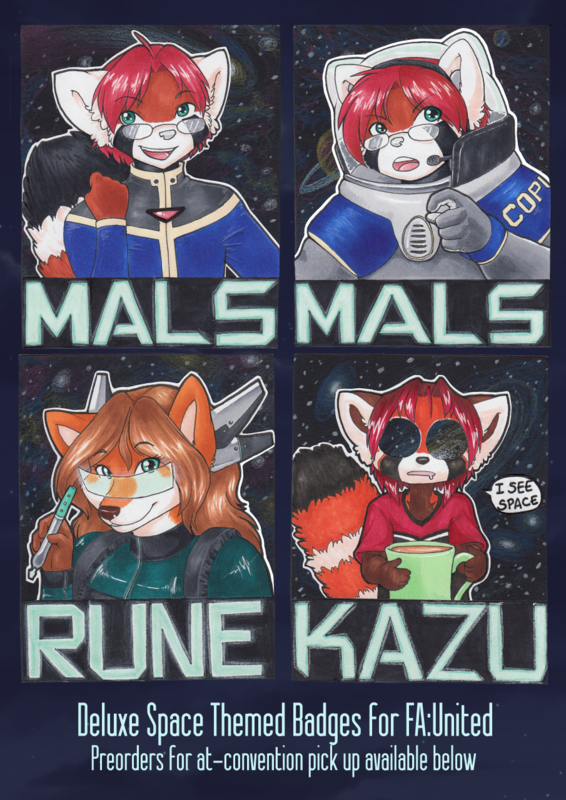 Following the Guardians of the Galaxy theme loosely, I'm doing generally spacey badges for FAU. Space suits, fandom cosplay, video game references, anything goes! Please comment below or send me a note if you would like a badge for the convention. If you want a badge but will not be attending FA:U, that's also fine! I'll mail them out for $30 +shipping. Be advised that badges which aren't for the upcoming con will not be given precedence in my queue, since they aren't as time sensitive. I will note you after to ask for your Paypal to send you the appropriate invoice. If you'd like a non-themed badge, I'll be posting examples/slots for those later tonight!